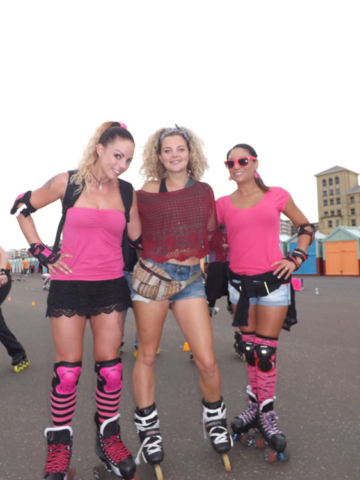 Every year the Skatefresh team get together on Brighton seafront to celebrate the year, and have a fun day of skates with friends and clients. This is Skatefresh’s 16th year in business. 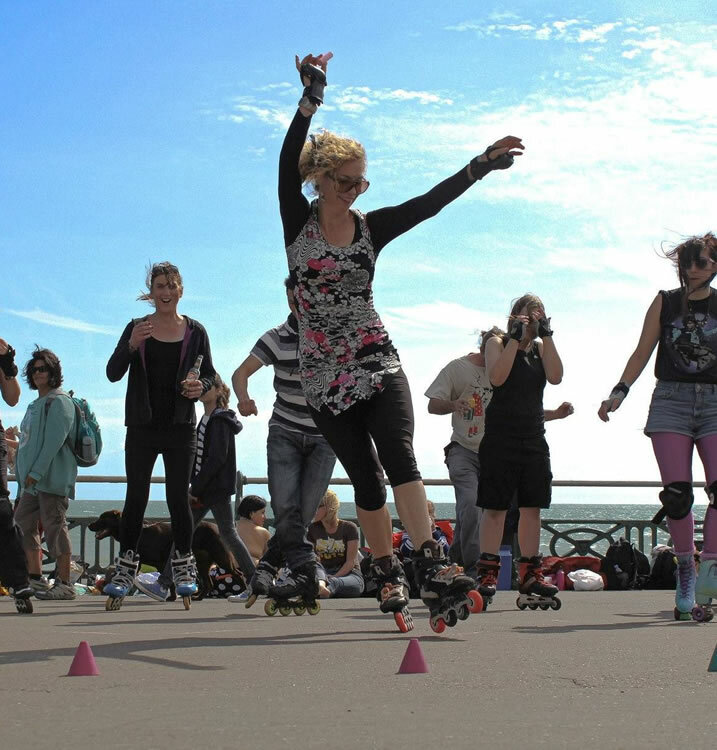 The day involves skaters from all over the country coming and joining Brighton skaters for seaside fun on skates. 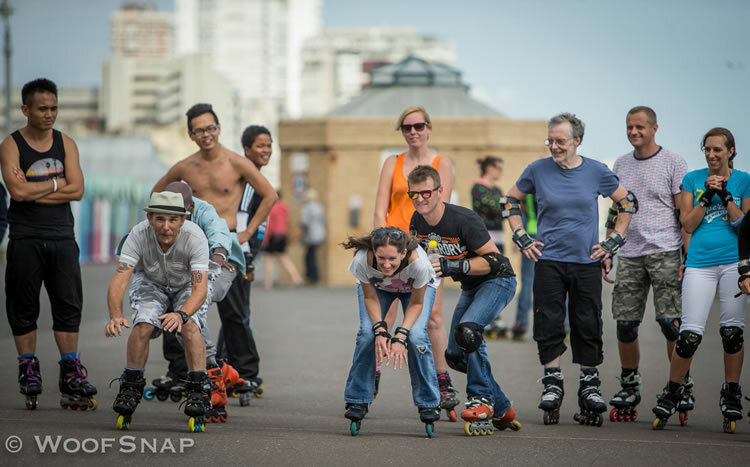 We’ll have music, fun and games and a simple street skate (along the promenade). Things begin at 1pm and go on all afternoon with the street skate at around 5pm. 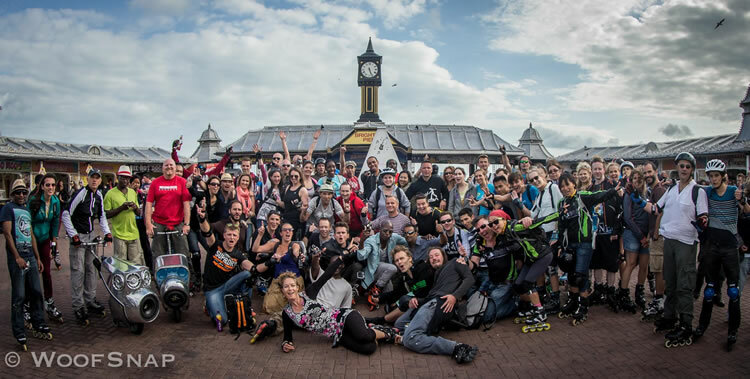 All the Skatefresh instructors will be there and it’s always a really fun and relaxed day. Everything takes place at the Hove Lawns skate area near the Lawns Cafe. 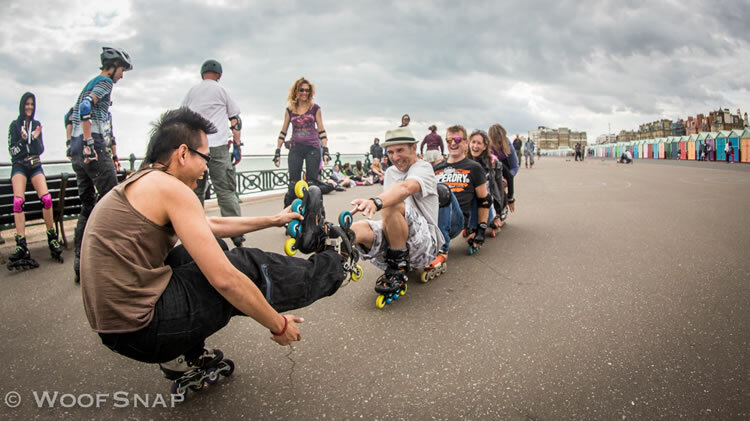 The exact location is where St John’s Road meets the seafront and the postcode is BN3 2FR. We will be in front of the beach huts. Bring a picnic! 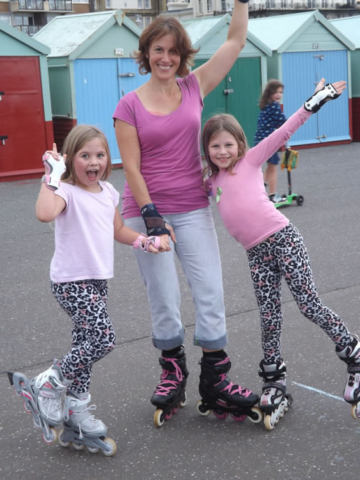 Wear something pink and a smile! Hope to see you there!